Tangrams are geometry made into 3D, creative fun! 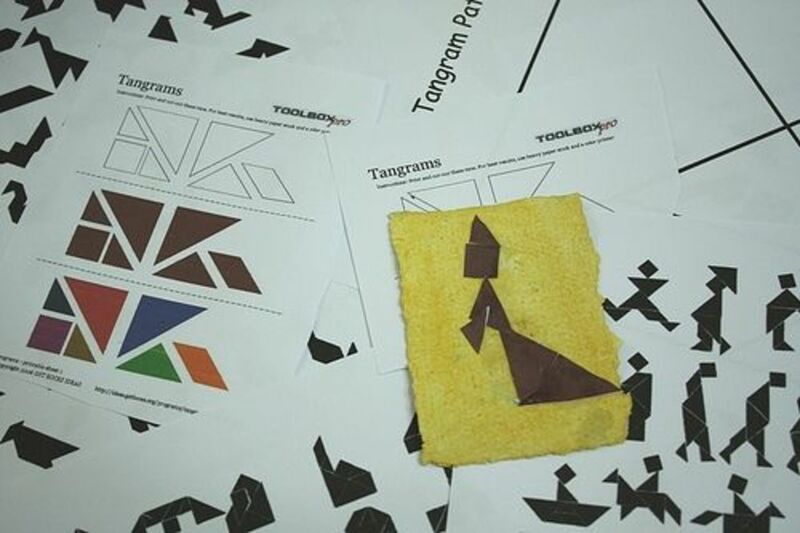 Print off some paper tangrams or make your own from craft foam. How about tangram toast for breakfast? Then put on your visual-spatial thinking cap as you discover how to arrange the tiles to make animals, people, or objects. Put away the math workbook and play with tangrams for your math lesson tomorrow. Demonstrate that you understand math vocabulary by manipulating the seven tans. Tangrams are rather mysterious as no one know exactly how they came to be. We do know that tangrams originated in China. So playing with tangrams can be a nice hands-on activity for a unit study about China. Why play with tangrams? Besides being an entertaining diversion for a few minutes, what are the educational benefits of these seven shapes? Tangrams are physical objects that children can use to experiment with geometric concepts. Children are concrete learners until around age 12. Using manipulatives such as tangrams is the best way to teach math to children from preschool to age 11. Flipping pieces and moving them around gives learners real experience with the properties of the shapes. Merely looking at a shape drawn in a textbook is not nearly as effective. 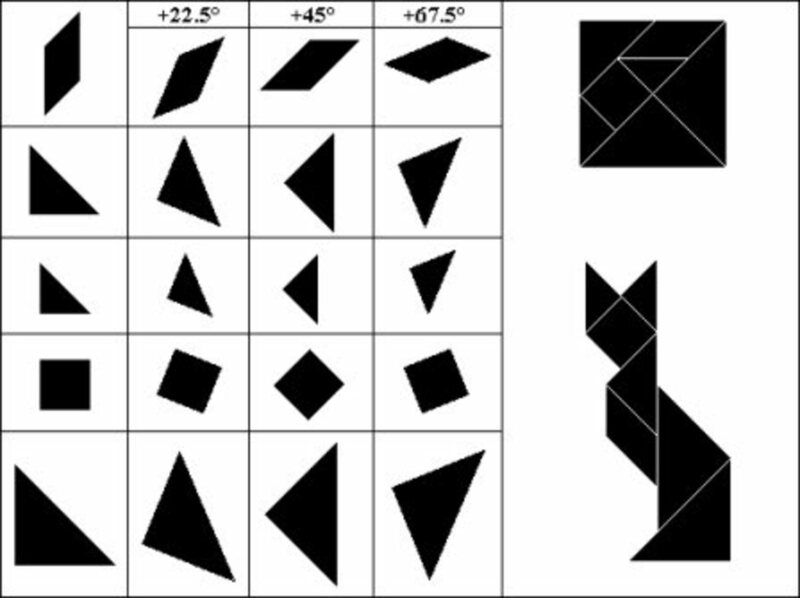 Manipulating tangrams stimulates the visual-spatial powers of the mind. 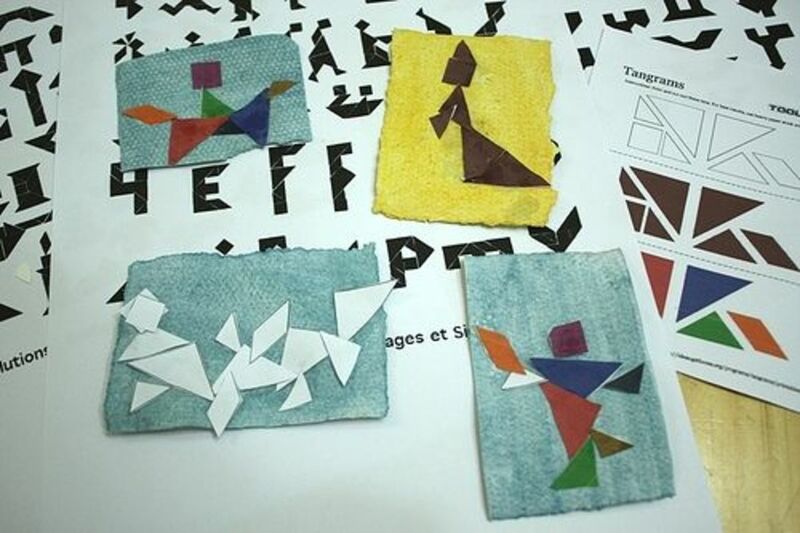 Children who are already very skilled in visual-spatial tasks may find great success with tangram activities. Lots of mathematical concepts are explored through the play with tangrams: congruency, symmetry, area, perimeter, and geometric shapes. Look at this list of 12 advanced mathematical terms that can be taught through the tangrams. (See page205 of the PDF.) Tangrams are not just for small children! 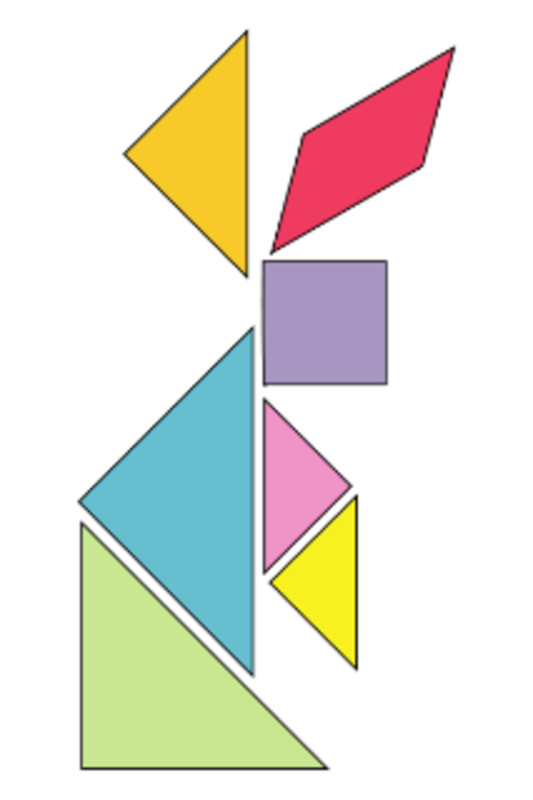 Several choices of tangrams -- black outlines, colored shapes, small or large, and even some pages of designs to create. These small and large tangram patterns are simple black outlines in PDF. These are great for templates for making your own tangrams out of craft foam or cardboard. The biggest tangram pattern I can find online! This tangram page is different in that the pieces are patterned (black and white) and are scattered on the page instead of in the typical square formation. But feel free to break the rules in your math explorations! This book is recommended by LivingMath.net as a living book for math study. Although not based on historical fact, The Warlord's Puzzle delves into the math concepts of the tans in an engaging story. In China, a beautiful ceramic tile lies shattered on the ground, and the artist who dropped it is sentenced to the land's worst punishment. The fierce warlord will execute the artist unless some wise person can put the seven pieces back together. That person will then be invited to live in the castle. Both locals and strangers from far away wait their turns for a chance to solve the warlord's puzzle. After learning why these people are waiting to enter the castle, a peasant boy convinces his poor but wise father to join the line. This little boy starts them off on the first step to solving the puzzle-entering the contest. Virginia Walton Pilegard wrote The Warlord's Puzzle as part of a teaching unit that uses informal geometry to strengthen students' visual learning abilities. Mrs. Pilegard studied elementary mathematics and completed both a B.A. and M.A. in Education. She then went on to teach elementary grades and in juvenile correction schools. Math, art, and language arts get mixed up when you play with tangrams! Here are photos from an hour of tangram exploration. 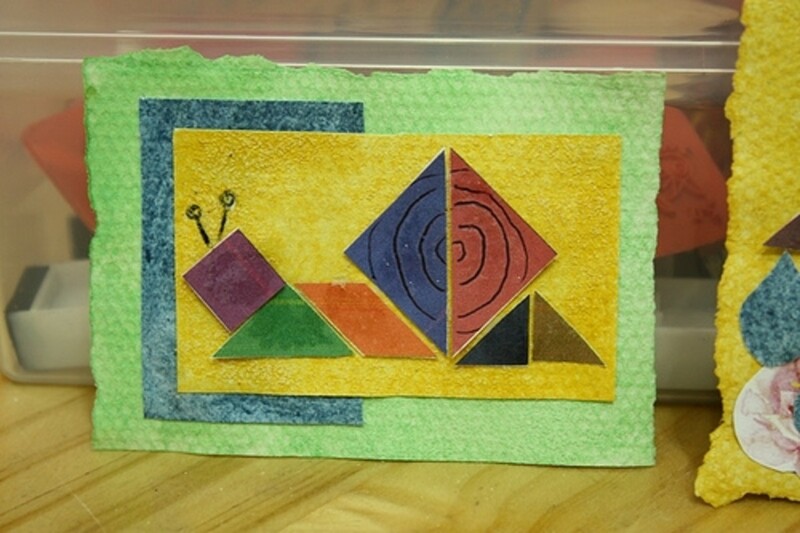 We used tangram patterns, printed small, to make ATCs (Artist Trading Cards). Sprite even created a series of cards to tell a story about a knight who rides a horse to save the princess from a dragon. A nice tutorial for making your own tangrams with craft foam. This is not for babies! A thorough knowledge of mathematical vocabulary is necessary to follow the directions in order to tear a sheet of paper into a tangram set. This is not a printable template but a set of directions with clear diagrams. If you prefer a visual demonstration, try this video. With just paper and scissors you can use folding to make a nice tangram set. Print out some of these puzzle pages and let your children try to solve them by making the same shapes using the seven tans of the tangram. 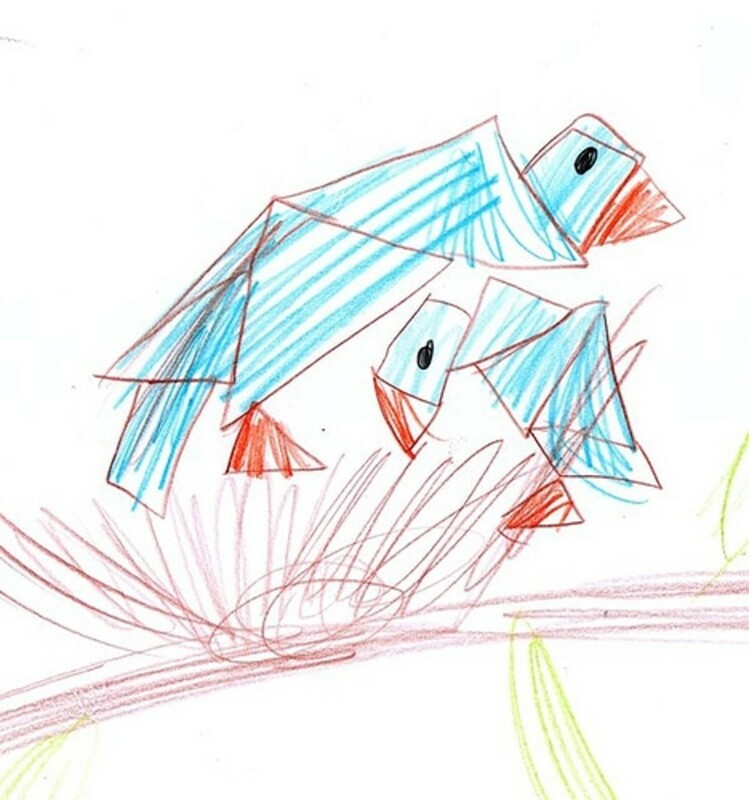 Later, let them create their own animals and people, trace them onto paper, and test each other. 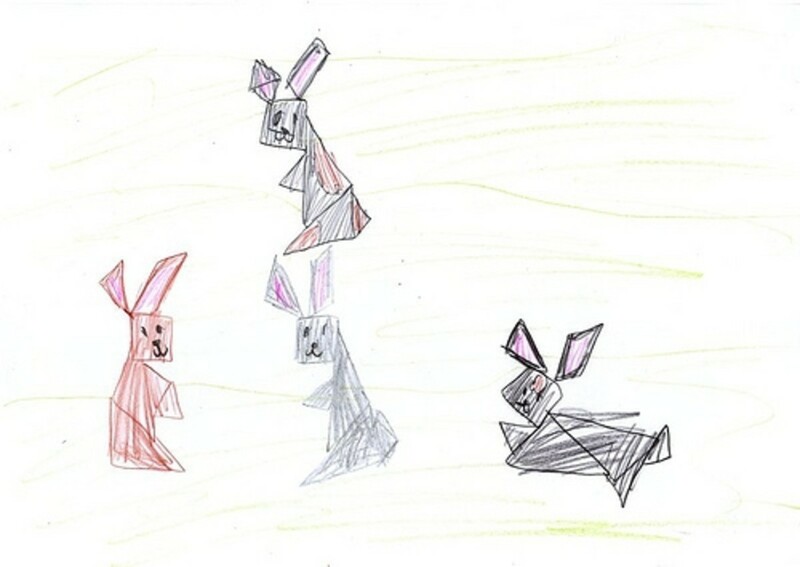 Three rabbit puzzles to solve. This PDF includes a basic tangram template as well as the solutions to the puzzles. Great for springtime tangram play! Goats, birds, a polar bear, a camel, and even a huge rocket! This is a nice all in one PDF with background information, templates, and puzzles to solve. Just print the pages you need. This is a great starter PDF with a green tangram to cut out, a page of puzzles, and a page of solutions. An early reader that incorporates the use of tangrams to tell the tale. Visit Mathwire for some printables to go along with this book. And see Almost Unschoolers for some photographs of a lesson using this book. These free printable notebooking pages from The Notebooking Fairy are perfect for writing about the math you learn during tangram play. This is a good introductory activity to the tangram -- a list of seven questions to answer about the tans. Solve the area of all the tangram pieces with this middle level math activity. This one page PDF has 15 questions that you could assign your students to answer as they work with tangrams. The skills addressed go from basic to advanced math. Mr. L shares a 4 page PDF with tangram activities including fractions, decimals, percents, geometry, algebra, and language! This book in the public domain has a section on Tangrams, beginning in page 26. For internet users in USA, this book is available for full preview and download. A great activity for workboxes or enrichment -- cards show a shape to create with the tangrams included in the set. This book is filled with hundreds of tangram patterns to solve with your own tangram pieces (not included). In this picture book, the setting is China, where tangrams were invented. This fun tangram looking font comes from Dave's Free Fonts; he calls it Litebrite 1975. Going to show my kids the math art video clip right now. Really enjoying your lenses. Thanks for the great lens and great links! Fantastic activities to add to my list. Greetings from 'the land of eternal spring'! I used these in my classroom; the kids really enjoyed them. They are fun and are challenging. In fact, I think I liked doing them more than they did. I never heard of Tangrams; thanks for the info, I guess you're living life right if you learn something new everyday. Very interesting lens. My kids have a set of Tangrams and you really need to be creative to make something out of it. I love this stuff. Great lens. Bookmarked! These are actually quite clever. I can tell the different types of triangles in the first picture. Anymore useful resources like this? a great lens good to give the kids something outside of the computer. Tangrams are cool! Always good to discover something new. A fun way to start seeing shapes everywhere ... nicely done! Congratulations on having one of the top 35 homeschooling lenses. Simple yet promises great potential and mental stimulation. Love it! Great resource! Thank you for the links! too bad, when i was small i did not know how to design shapes using tangrams. today , i only notice that we able to combine its shapes with arts too. Interesting. I like many kinds of puzzles. These seem so familiar! They must have used them in school in the 70s. I've seen these puzzles before but i never knew they were called tangram. Nice lens! 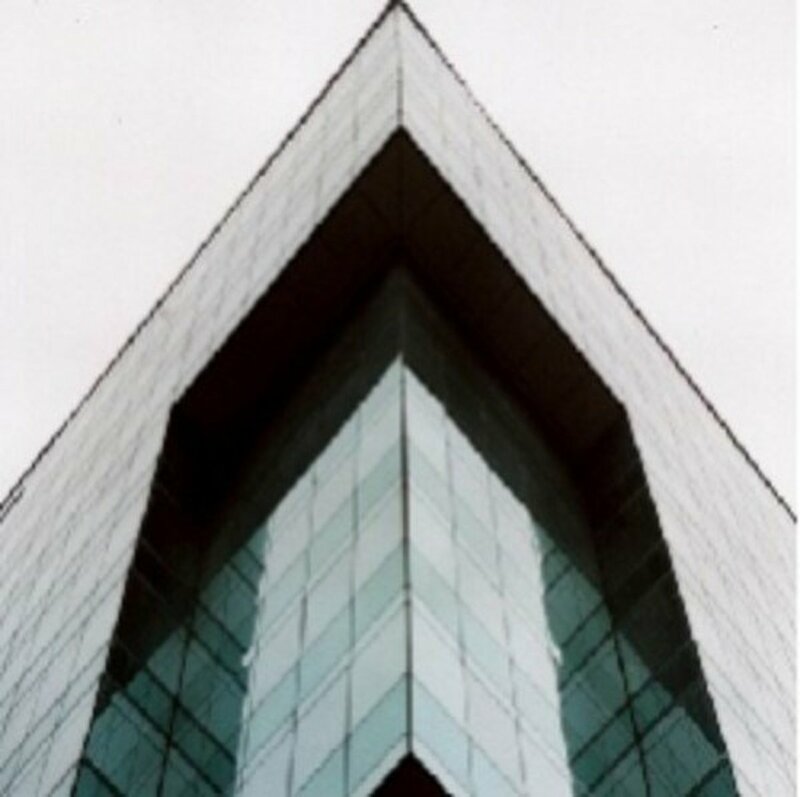 It's the first time I"m hearing the word tangram and I checked out the lens because it was on the homepage. It's an interesting game, I'll have to give it a try. You've got some great info on it. I think I am going to use this as a group activity at work! Very cool! These would keep kids busy during summer vacation when they're bored. Great lens! Interesting! This would be a great teaching tool. Great lens. I remember these from my earlier school days. I even own a set today. Lots of fun to figure out. Love your lens! This reminds me of my Mother making quilt blocks. 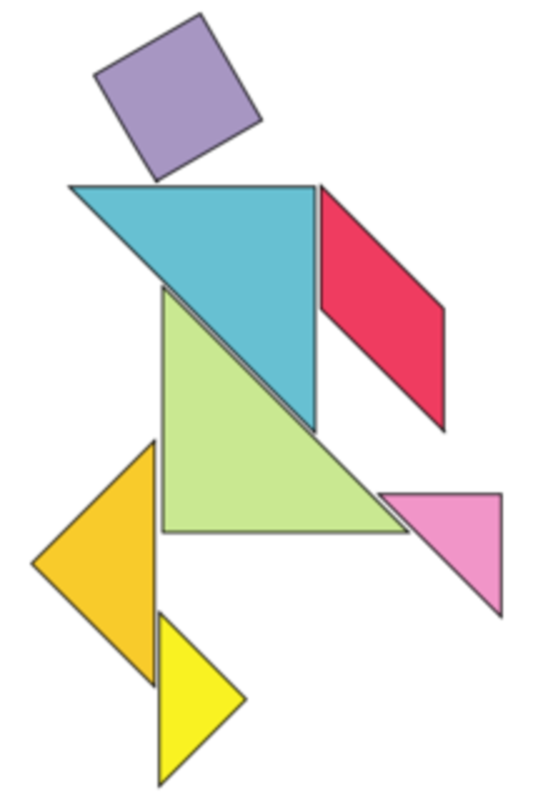 I know quite a few music therapists who would love to use tangram in their music therapy experiences. sweet designs indeed. Glad I browsed upon your lens tonight! If you like to browse lens as I do, mine has a great educational topic with poll questions for my readers to enjoy. Awesome resources! Great lens here. Blessed! I don't remember these in school. Would have made learning geometry a lot more fun. I use tangrams in my classroom. The kids love them! What a wonderful way to reinforce geometry! I've always found these really neat, but never knew what they were called! Thanks! amazing! thanks for putting this together - super helpful and fun! @anonymous: Palmy, Thanks so much for telling me about the broken link. I've found it and updated it. Hi Jimmie, your work is very great... Thanks! Great fun. blessed by a squid angel. Very cool lens! My daughters will love this! Brill! I used to love Tangrams when I was a kid! Another way of making them was to get big packets of thick foam, and glue all the sheets on top of each other. Then you get big outdoor tangram pieces for the summer! Thank you for this. My daughter loves, loves, loves these!! I have lensrolled this to "Keeping Your Brain Fit and Beautiful" because this kind of thing does just that! I've got a good book of tangram activities that I want to work into my teaching. This lens gave me the motivation actually to do it. Blessed. I love tangrams. Using concrete objects in learning math helps a child to make the learning his or her own. It's not just some abstract concept. Your lens is high quality, informative, practical, and with bold fonts, borders, photos and videos. Everything a great lens needs! I love tangrams. They grow up with the kids. From the beginning when they learn colors and shapes, to some of the more complex designs that I sometimes struggle to make. They are awesome. I knew I could find what I needed in your lens list. We will be studying China next week (got the package from your friend and it is great! Will be blogging about it again soon). I wanted to print out some tangram stuff but didn't want to do a web search. Glad to see you already had a lens made! You have such a gift for combining education with fun! I love the black cat. Thank you so much for this site. It has all really education and interesting resources. The kids are going to love the Tangram lesson tomorrow! 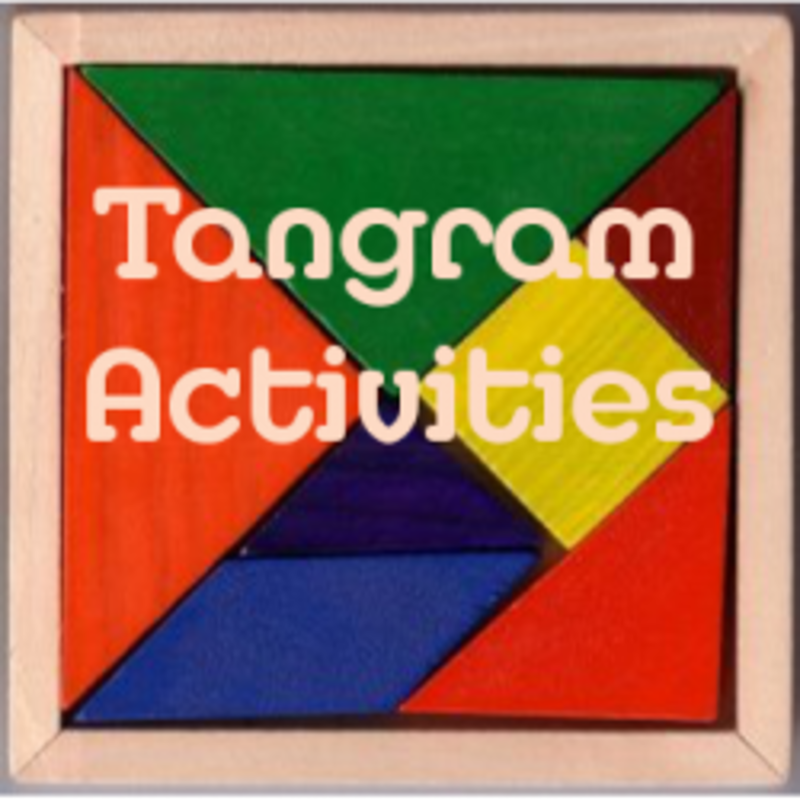 I just got some Tangrams for my little guys math this year, so I will need to check out some of these activities! I had already rated the lens before but now that I am a Squid Angel again, I wanted to come by and bless it. good stuff I wish the lesson would show what grade level these lessons are for. Oooh. Lots of fun AND educational! Great lens. We love tangrams! You've got a lot of great resources available here; thanks very much! Amazing lens! I've played with them before.. but lol.. never understood the mathematical part of it. Another wonderful lens of yours. Many of my students love tangrams. Wonderful lens! I haven't used Tangrams since college. I need to go find some for my kids. Thank u 4 teaching me how 2 play TANGRAM! We use tangrams a lot. My children are so much better at them than me. I guess that as I started very late to this it is so much more difficult for me to see how to do them! interesting n cool...i give it 5 *s! We love tangrams too! 5 stars! i love tangrams. cool stop motion video. This is a great lens :) Very interesting and helpful. I love math, I love puzzles, what a great combo. really enjoyed it. My children love working with Tangrams and that experience has helped them visualize math all the way up through college level geometry. Lensrolled to Hands-On Math and Natural Math Manipulatives. Btw... You got to my new lens (Lapbooking Resources) pretty quickly. I added a new resource under lapbook sites right after you were there, your lens! I know I added it to the top, but I realized it should be down in the body of the page also. I just want you know that I am NOT trying to compete with your lens (as if mine even comes close to yours anyway!!! ), but I was getting tired of losing the sites and looking them back up and I figured I would share it since it's different from yours. I really hope you are ok with that. What a very helpful page! LOVE the sidewalk block tangram vid! 5 big stars! I need to get these back out and put them to use for my 8 and 4 year old! Thanks for the reminder and great info!